Participants conveyed their worry that the regulatory framework for the promotion of renewable energy sources expires in just over a month, while it is yet unknown what will happen after this period. They further stressed that the development of green energy, referring to the installation of rooftop solar panels in households, but also the increase of energy efficiency, is paralyzed by the lack of administrative capacities at local and state level. 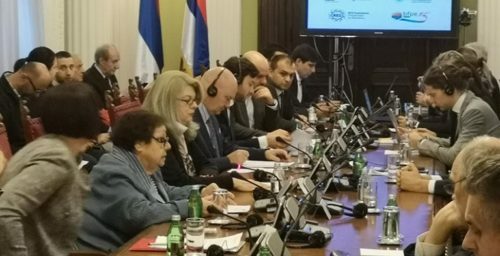 Member of the Parliament and President of the Forum Aleksandra Tomić said that in the past five years, Serbia financed 39 projects under the Budget Fund for Improving Energy Efficiency with an average energy saving of 40%. 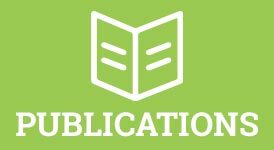 “Calculations show that every RSD 50 invested means 1 kWh saved,” she said, adding that the annual energy costs for all public buildings are EUR 270 million, while potential for savings are at around EUR 123 million. “This should be looked at in line with the fact that Serbia needs EUR 1.2 billion to introduce energy efficiency measures in these buildings,” Tomić noted. German Ambassador to Serbia Thomas Schieb said that energy transition is not a sprint, but a marathon, which was confirmed by Simon Ilse, Director of the Belgrade Office of the Heinrich Böll Foundation, stating that Germany has come a long way, yet today 93% of citizens support nuclear energy phase-out and an increase in the share of renewables. Norbert Beckmann-Dierkes, Director of the Konrad Adenauer Foundation, noted that energy policy means finding a solution that will allow us to look in our children’s eyes and say that we have done everything we can to achieve sustainable development. Sonja Liht, moderator of the panel on energy efficiency in schools and kindergartens and President of the Belgrade Fund for Political Excellence, said that very often discussions about sustainable energy come down to how to secure infrastructure for renewables, although it is almost equally important to work on raising awareness of the public, especially of teachers and the youngest generation. “Children must be the main leaders of change in public awareness when it comes to energy use,” she said, adding that therefore, for example, “installation of solar panels in schools and kindergartens would be absolutely the right move, because among other benefits, children would be able to see first-hand what sustainable development represents in real life. Serbia’s goal must be to keep its children in the country, working to develop its energy sector,” she said. Svjetlana Đokić, Senior Project Manager at GIZ DKTI Energy Efficiency in Public Buildings in Serbia, said that the German development organization GIZ (Deutsche Gesellschaft für Internationale Zusammenarbeit) used the Forum to introduce two GIZ projects to its participants – Energy Efficiency in Public Buildings in Serbia with a focus on schools and kindergartens, and the Open Regional Fund for South East Europe – Energy Efficiency (GIZ ORF-EE). “I would like to point out the importance of investing in the energy efficiency of buildings, this time through the experience of experts and representatives from local municipalities,” she said. 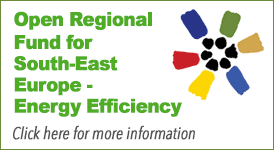 Đokić also highlighted that the project Energy Efficiency in Public Buildings in Serbia provides support to national institutions in transposing the National Energy Efficiency Action Plan into relevant set of regulations. 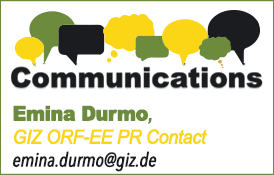 She also expressed her particular thanks to the GIZ ORF-EE for providing significant support for the organization of the Forum. “It is important to work on the capacity of employees in public institutions,” she said, adding that a platform connecting parliamentarians who are active on the subject of energy efficiency has been established. 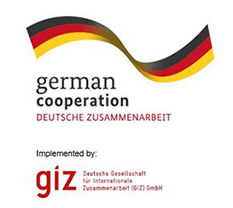 She noted that the GIZ ORF-EE provides regional support in the field of energy efficiency with a focus on strengthening regional cooperation and the exchange of knowledge and experiences. Among other things, she added, the ORF-EE’s goal is to strengthen the capacities of parliamentarians and parliamentary staff in SEE countries in the sector of energy efficiency, climate protection and urban mobility. 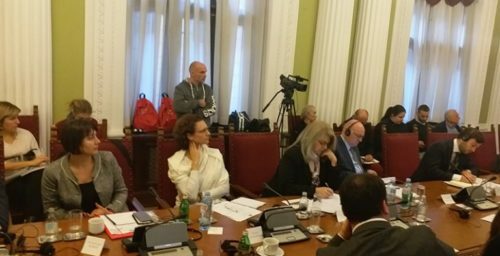 This regional exchange is carried out in close cooperation with the Network of School of Political Studies in SEE, and in the case of Serbia, with the Belgrade Fund for Political Excellence, as well as the Secretariat of the Energy Community. At the regional level so far, the First SEE Parliamentary Forum on energy efficiency and climate has been established, and a study visit of parliamentarians from the region to the German Bundestag and the Bundesrat organized, while on the national level partner organizations continuously implement similar events such as the meeting of the Serbian Parliamentary Energy Policy Forum in their national parliaments. The typology of schools and kindergartens, conducted within the Energy Efficiency in Public Buildings in Serbia project, is expected to be finished soon. According to Dušan Ignjatović, Professor at the Faculty of Architecture in Belgrade, the typology will enable all schools and kindergartens in Serbia to find their place within the typology. “They will be able to do this using a software which will enable schools and kindergartens to see where they can save, how much can be saved, what measures could be introduced, and even get a provisional economic calculation of the entire investment,” Ignjatović said. He reiterated that the energy savings potential is high, and reaches 70%, while CO2 emissions reduction could come up to 65%. Ignjatović also announced the establishment of the Energy Knowledge Platform, which will allow for gathering of all relevant subject area knowledge in one place, making it available to the public. Aleksandar Macura, Program Director at the RES Foundation, said that the Analysis of the National System of Financing Costs in the Area of Energy and Energy Efficiency in schools and preschool institutions has determined that no one in the chain of responsibility is required to ensure optimum energy consumption and energy savings or to define optimum indoor conditions – the quality of heating or air – for children spending time in these facilities. The goal of the analysis was to establish what is needed to secure, for example, optimum heating and lighting, as well as good conditions for children in around 6,000 buildings, kindergartens, and schools. “It was not easy to determine the energy costs, as there is no precise data, but the data that was obtained indicate that schools account for some 2%-2.5% of municipal costs and kindergartens somewhat less. However, there is no standard for determining what is, for instance, the optimum temperature or heating cost, which would enable us to say whether this is too little or too much,” Macura said. The municipality of Ljubovija, according to Assistant Mayor Aleksandar Perić, saw an opportunity in energy efficiency measures for long-term savings in the local budget, as well as for the improvement of user comfort, air quality, and the visual appearance of buildings. “It was not easy to convince decision-makers that investments in energy efficiency were necessary. However, luck had it that several sources of financing presented themselves, and the first project was financed from the Budget Fund. 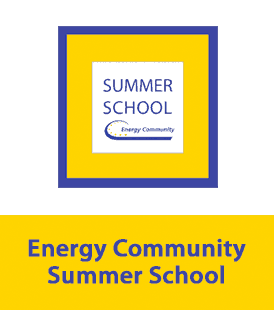 Heating costs in one of the kindergartens were reduced from RSD 1 million to RSD 350,000 annually by switching from heating oil to pellets for fuel,” said Perić, urging MPs to ensure conditions are in place to improve energy efficiency. Participants in the panel “Removing Obstacles” concluded that Serbia has an excellent regulatory framework for renewable energy sources, but the problem lies in the fact that the framework expires at the end of the year, while there are no announcements of what is the way forward. Simon Ilse, Head of the Belgrade Office of the Heinrich Böll Foundation, said that the three reasons for Germany’s energy transition include energy security, climate change, and the shutdown of nuclear power plants. 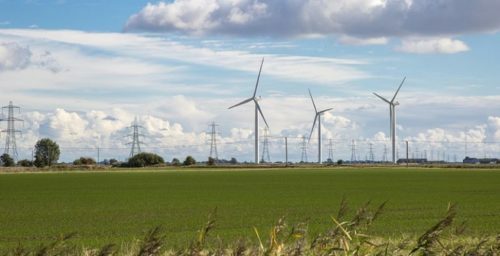 He noted that the economic factor plays a part as well, given that 380,000 jobs have been created in the renewables sector, and only 35,000 in the fossil fuel sector. 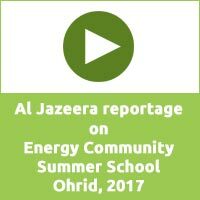 “We owe our success in energy transition to feed-in tariffs, which guarantee investment security, as well as guaranteed access to the grid for renewable energy facilities,” he said. Germany is now in the second phase of energy transition, where main challenges will include digitalization, network expansion, energy storage, the shutdown of coal-fired power plants, transport electrification, and increase in the share of renewables in heating. According to Đorđe Popović of the law firm CMS and Jasminka Young of the RES Foundation, Serbia has other problems, as it is not known yet what the regulatory framework for renewables will be in 2019. Popović said that the 2016 package of regulations is excellent, noting that one of the reasons for this is that it includes the political force majeure, which means that if one body fails to issue any document, the investor has the right to demand an extension or compensation. “The small problem is that the package is expiring on December 31, 2018,” he added. “To the best of my knowledge, no work has yet been undertaken on a new package. And this will halt investments,” he said. Popović noted that capacities need to be strengthened at the local level and the Commission for Public-Private Partnerships (PPP), as out of some 8,000 proposals, many of which refer to energy efficiency and renewable energy sources, only a few dozen have been approved, which is understandable in light of the fact that nine people are supposed to respond to 8,000 requests. Jasminka Young of the RES Foundation said that Serbia is entering a public policy vacuum, as regulations concerning renewables expire at the end of 2018. “Investment security is one of the key factors for renewables development,” she said. For citizens, the situation is even worse, as Serbia has no registered energy cooperatives, countermeasure, or conditions in place for individuals to install solar panels. 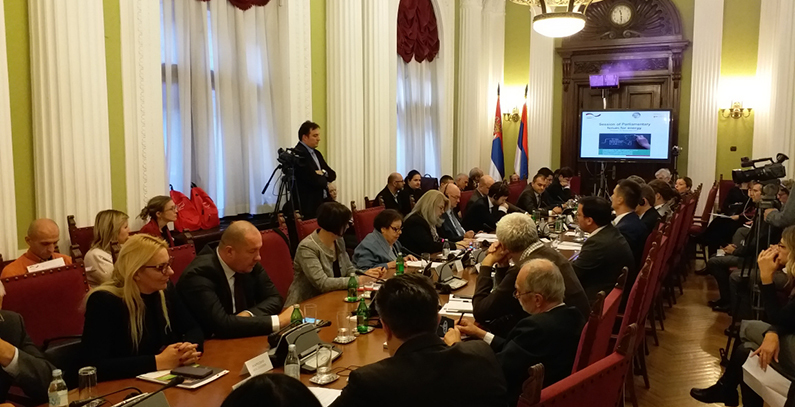 In conclusion, Aleksandra Tomić, President of the Parliamentary Forum for Energy Policy in Serbia, proposed to the Forum to review the preparation of a strategy to raise awareness in the area of energy efficiency, collect information on all energy efficiency projects, ask the construction and education ministries to appoint those responsible for defining the standards for the quality of indoor conditions in preschool institutions and schools, and step up the activities to implement the Paris Agreement, the Sustainable Development Goals, and the 2030 Agenda, as well as to open a dialogue on strategic, administrative, and technical obstacles to the renewables development with all relevant stakeholders in society and the state.